An early contender for Album Of The Year, this is a stonker. If you’re looking for the sound of this summer, then stop : it’s here. 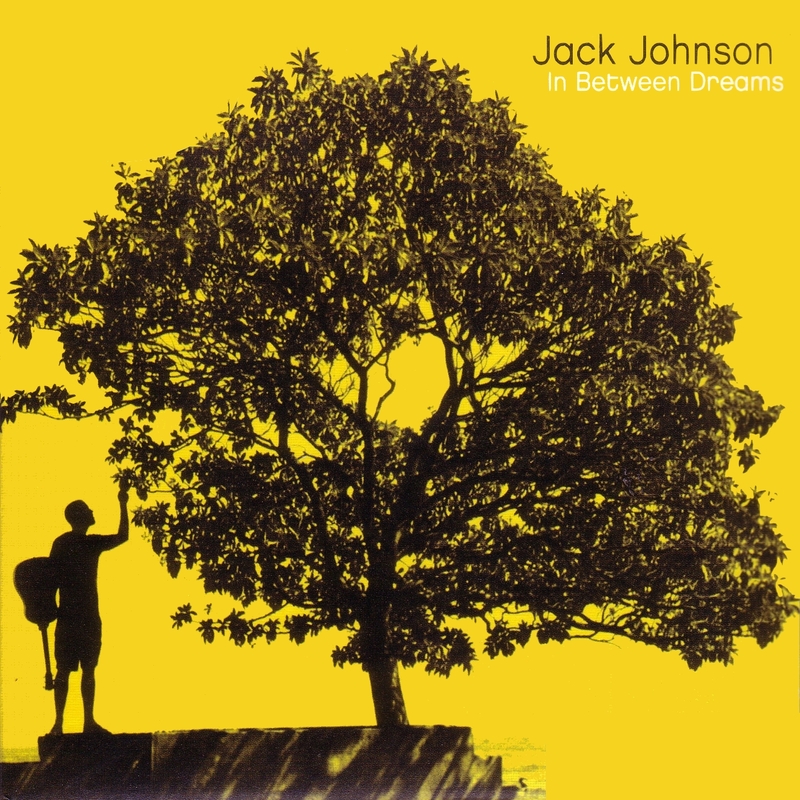 Johnson is a Hawaiian singer-songwriter in the classic acoustic guitar mould, but before you skip this thinking it’s about another Buckley/Drake wannabe, think again. Can you imagine anyone that hails from Hawaii could possibly be that depressed? And that’s the point : the songs are upbeat and happy and make you tap your feet and dance and sing along and … oh … then you realize people are looking at you and maybe you should just sit back and listen for a while. I’ve played it to countless people and they’ve ALL gone and bought the damn thing. All of ‘em, ya hear? Go and find out why…. Back in their 1998 heyday, Morcheeba were as essential as a trip to a dodgy burger van after a solid night’s clubbing. It was the year that saw them release their massive second album, Big Calm, and showed them to be bang on the pulse culturally and in the right place at the right time for the emergence of the newly-dubbed chill-out phase of the great British “lifestyle”. As more and more of those compilations came out featuring the likes of Portishead, Massive Attack and Moby, Morcheeba were right up there and the band’s Ross Godfrey even claims to have invented the whole genre. 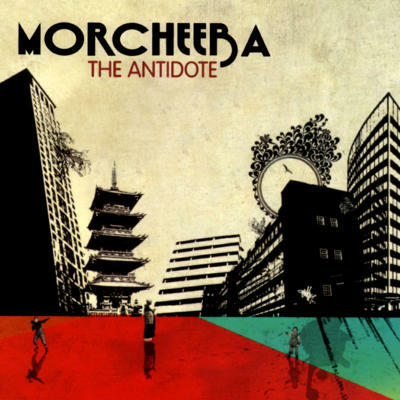 Dubious claim it may be, but Morcheeba were certainly inspirational to a whole generation of musicians and songwriters. The Antidote claims to be another classic ‘all back to mine’ therapy CD, but it has a quicker tempo and a more up-beat vibe, and wait, who’s that singing? The gorgeously seductive tones of Skye Edwards have been replaced by the dynamic ‘psych-soul’ voice of ex-Noonday Underground singer Daisy Martey. Accompanying the Godfrey brothers’ mesmerising psychedelic sound is not an easy mission. Skye is a tough act to follow, for many fans the melancholy innocence of her voice personified Morcheeba’s soul. But that was then and after years of touring and decadence it seems Morcheeba have grown up. Despite her relative inexperience, Daisy sings with a confidence belying her tender years. Once you’ve overcome the initial shock of Skye’s departure, you are free to concentrate on listening to a fine record. All the drums were recorded live giving The Antidote a rougher, more rugged edge. And like Big Calm the tracks were written in an intensely focused environment encouraging creativity and preventing inappropriate deliberation. Daisy is classically trained and her voice complements the new grown-up themes of finding freedom and dealing with relationships that run through the album. Daisy is an accomplished singer, but Morcheeba are not the same band without Skye. I can’t put my finger on why, but that’s the way it is. Maybe I should stop worrying about it and just chill out? Faithless are the biggest and most consistent band in dance music. Period. Throughout an extraordinary career they have sold over 10 million records worldwide (certifying platinum 10 times and gold 16). This in addition to becoming one of the most successful live dance acts of all time; headlining over 50 festivals worldwide and regularly playing to audiences of over 40,000 people. Sister Bliss (biggest female DJ in the world and multi-instrumentalist), Maxi Jazz (leading UK rapper and Buddhist semi-professional racing car driver) and Rollo (producer and industry magnate) really know their onions and have never failed to deliver complete albums in this most difficult of genres. Where other “house” and electronic acts tend to put all their efforts in to a handful of singles, these guys lovingly craft their babies before delivering them to an eager audience. 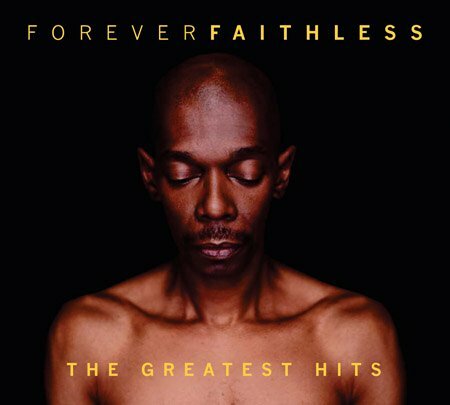 Forever Faithless features the greatest hits of their career, with tracks taken from all four previously released albums (Reverence, Sunday 8pm, Outrospective, and No Roots). 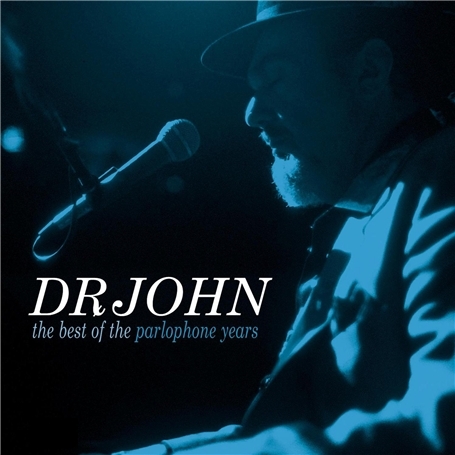 Maximum funk-fusion from New Orleans troubadour Dr.John.Music’s mercurial ‘physician’ (real name Malcolm Rebenneck, born November 20,1942) as Parlophone at long last give his unique repertoire a fresh airing. This superb 17 tracker showcases funk, glitter and voodoo charm to perfection since signing to the label in 1997.Releasing four highly distinctive and eclectic albums, NO’s favourite son throws a veritable gumbo from The Night Tripper, the best tracks from his productive eight year span with The Best Of The Parlophone Years, including his own sleeve notes. Along with his unmistakable vocals and keyboard, influencing the likes of The Fun Lovin’ Criminals, artists include BB King, Paul Weller, Jools Holland, Randy Newman and Gaz Coombes and Mick Quinn of Supergrass. This album has super-cool written all over it, and is best listened to in your car or headphones. Rippling funky bass-lines thrust the whole thing forward, with sophisticated layers of keys and brass adding the icing on the cake. There simply isn’t a wasted moment. Bonus tracks include the previously un-issued Careless Love and Look Out. The one-time Phil Spector session man has failed to make significant commercial inroads on the UK scene, (though his cult status sell out all his shows), with only one album chart entry in 1998 Anutha Zone. This collection may redress the problem. The grumpy one’s new album includes thirteen songs, ten original Van Morrison compositions and three classic interpretations of the jazz standards, I’m Confessin’, This Love Of Mine and Lonely & Blue. 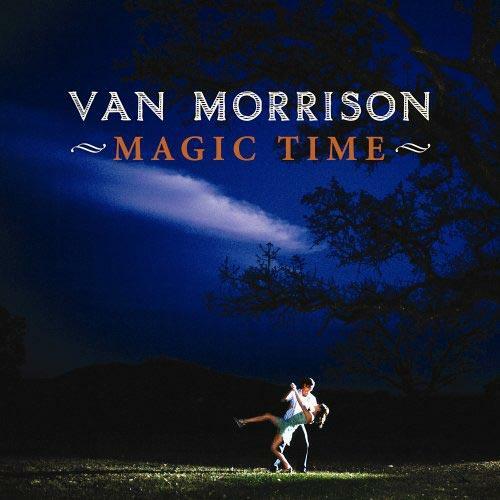 Magic Time is the first release from Van Morrison since What’s Wrong With This Picture? in 2003 and marks the 40th anniversary of his first hits with his then band Them. With songs such as Stranded, the title track Magic Time, Celtic New Year and Gypsy In My Soul, Van The Man has created some of his most powerful songs in years, with every emotion seemingly having its place within the fabric of what many will view as one of his most important albums of the past two decades. A definite hit, especially once the likes of Terry Wogan and Michael Parkinson get hold of it and start spreading the word. 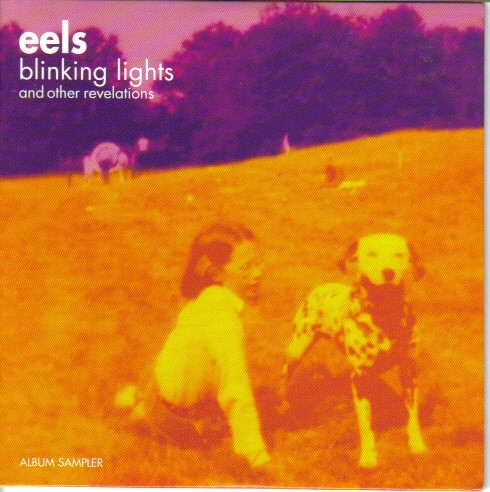 Since 1996’s Beautiful Freak, Mark Oliver Everett used his band, Eels, as a mouthpiece for his inspirationally morose worldview. Recorded over a period of seven years in Everett’s basement, the 33 tracks of the album see the singer/songwriter backing off from the rockier sounds of 2003’s Shootenanny to meditate on the significance of family, aging, and death. The results are often breathtaking, a warm blanket of a song cycle whose tracks are the more mature, resolute descendents of the tunes on 1998’s Electro-Shock Blues. While the majority of this material features a full band, many of the most triumphant and affecting tracks were recorded with only Everett’s expressive vocals and piano (“If You See Natalie,” “Last Time We Spoke,” “Dust of Ages”). “To Lick Your Boots,” a defence for a slandered friend, was co-written by and features R.E.M.’s Peter Buck, while ex-Lovin’ Spoonful front-man John Sebastian lends a hand to the pastoral instrumental “Dusk: A Peach in the Orchard.” “Going Fetal,” which imagines an anxiety-based dance craze, utilizes a Tom Waits vocal sample. This double-disc set reinforces Everett’s status as one of America’s finest underrated pop songwriters, demonstrating once again that his anguish is to our benefit. Simple, subtle and superb. When DJ Format landed a job as a driver for US rap stars Jurassic 5, he probably didn’t expect it to catapult his own material into the limelight with quite such gusto or lightning speed. After various remix requests and inclusion of tracks on various highly-regarded compilations, his debut EP released in 2002 and was promptly followed by his first full album release, 2003’s excellent Music for the Mature B-Boy. Contributing to the appeal of DJ Format are his insistence on videos cooler than the proverbial cucumber and energetic live performances and DJ sets spanning dingy student unions to festival stages that have included Leeds and Glastonbury. Perhaps reflecting this versatility is the make up of DJ Format’s fan base : a combination of geeky, sample-spotting 80s hip hop enthusiasts and the more uninitiated, trendy types who marvel at MC Abdominal and D-Sisive’s lyrical dexterity and DJ Format’s seeming ambidexterity on the decks. The album has a funk-injected flavour which brings with it a dancefloor vibe that is somewhat overshadowed by the vocal performances from Abdominal, D-Sisive and Jurassic 5’s Chali and Akil. 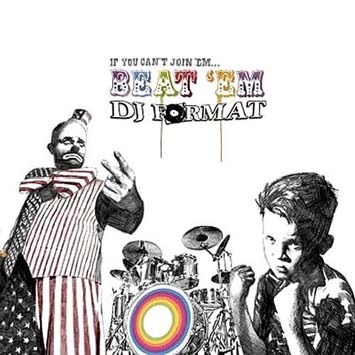 Of the twelve tracks comprising If You Can’t Join ‘Em… Beat ‘Em, the most charismatic are in fact the three instrumentals which showcase DJ Format as both a crafty producer, and, with their unmasked cuts and scratches, an immensely talented turntablist. Particularly worthy of mention is ‘Black Cloud’, a plodding little thing, perhaps the ugly duckling of the album, but all the more beautiful in its relative obscurity with its emotive percussion and brassy awkwardness. “Coming in tighter than a Venus Fly-Trap” is Rap Machine a track so bloomin’ funky that it conjures up images of attractive people breakdancing in a NYC alleyway. Whilst I do prefer the instrumentals generally, the nine tracks with lyrical flows are, much like DJ Format’s earlier material, both witty and inspiring. In places they beg the listener to sing-along, in others they render him or her bewildered at the speed and panache with which these guys can spit words. Several of the tracks are plain funny. ‘Ugly Brothers’, for example, features MC Abdominal discussing his and Format’s sympathy with ugly fans. And so the chorus goes: “I got a sister, she’s hot / And quite frankly, I’m not / For those of you who might be a bit dumber / That makes me her ugly brother!” In sum, ‘If You can’t Join ‘Em… Beat ‘Em’ is refreshingly low-brow and astonishingly infectious.